M.E.Ch.A. is a student organization that promotes higher education, cultura, radical politics, and historia. MEChA was founded on the principles of self-determination for the liberation of our people. We believe that political involvement and education is the avenue for change in our society. My name is Rita Karina Veleta, born & raised in Santa Fe, NM but from Chihuahua at heart. Mi familia y comunidad son los que me mueven a seguir luchando por nuestra gente. Being a latina woman of color I have been forced to learn about systems of oppression and how to deconstruct and combat them. 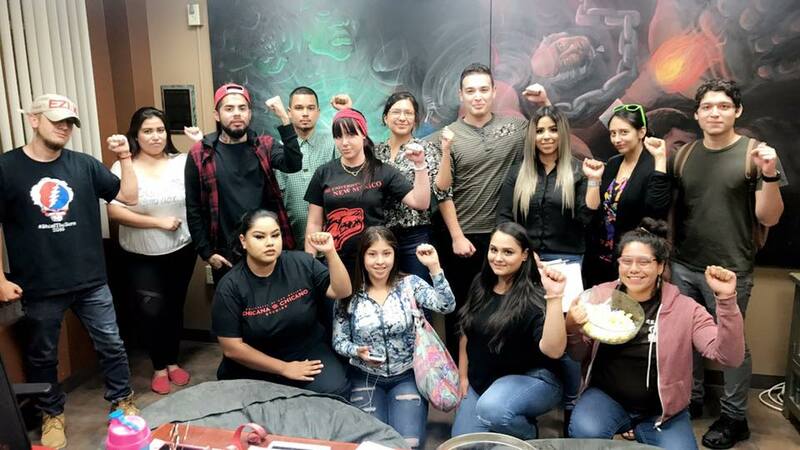 I am eager to continue educating myself along with my community in order to create political awareness and continue la lucha. 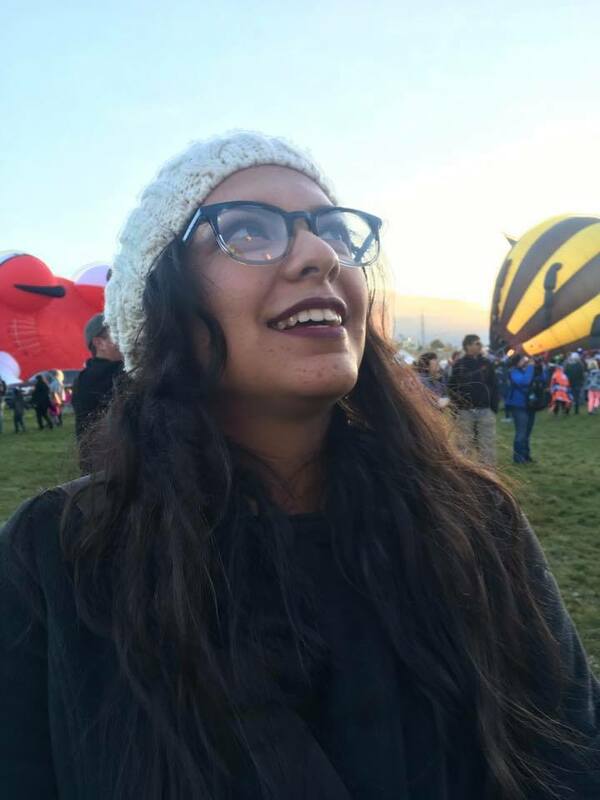 My name is Diane Andraca, I am a current sophomore at the University of New Mexico. At the moment I am going towards Nursing to become a midwife, which I will later place into use in the underrepresented areas of New Mexico. I am also minoring in Native American studies in order to be place knowledge into the new generation of youth that are coming after us. With my abuela being part of the Zapatista movement, I later became involved within my high school’s M.E.Ch.A chapter and have participated in community organizing within the city of San Diego. I have taken part of Chicano Parks annual Zapata March and been part of Union del Barrio’s Escuelita Aztlan. I take in mind gender, and respectfully acknowledge pronouns. 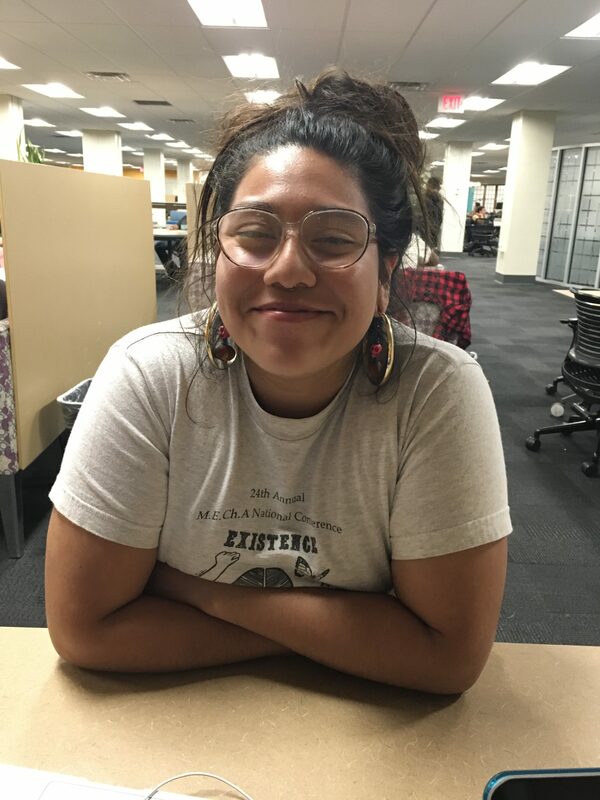 I am a current sophomore studying Latin American Studies and Music and I plan on continuing into graduate school to study ethnomusicology. 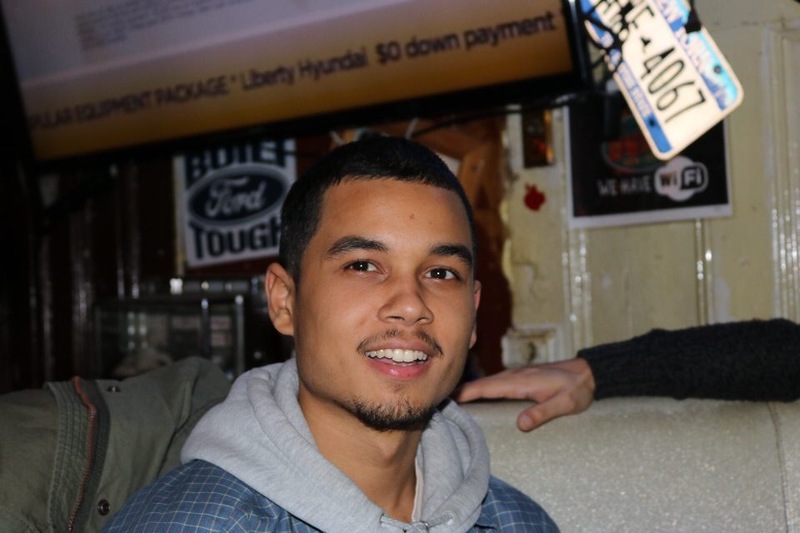 I am originally from Arlington, TX and it my first time participating in M.E.Ch.A. Aside from being involved M.E.Ch.A., I am also a part-time musician and I.T. enthusiast. My knowledge in I.T. and political involvement has as well allowed me to be in the position of media coordinator for UNM’s M.E.Ch.A chapter.